T&rsquo;was the night before November 13th in St Julie, Quebec. Snow had started falling on many parts of the continent, however the Montreal region was not fortunate enough to have received any of it. Luckily for all the Quebecer park rats, an old friend had returned to their side. Montreal region, and on November 12th they brought the snow with them. event of the season: the D-Open. 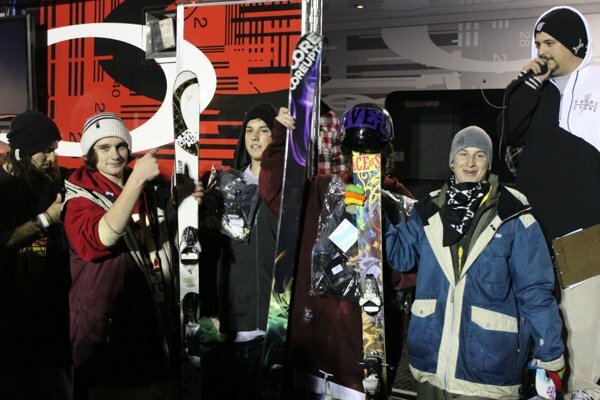 Three full truckloads of snow, two custom rails, $3000 in prizes and some of the best skiers from Quebec were all part of the show last Saturday. 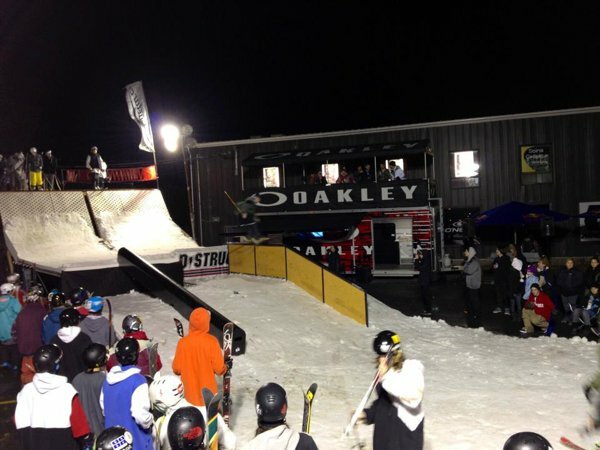 The event started with a big practice session that saw over 80 skiers take to the course. The groups were then divided into two heats where only 20 people were chosen for the finals. In the end, Ben Gendron took home $1000 and a pair of goggles courtesy of Oakley for having the widest variety and originality of tricks. He threw everything from a lip 4 in, 270 out on the down, to a switch in, 50-50 on the flat-down. 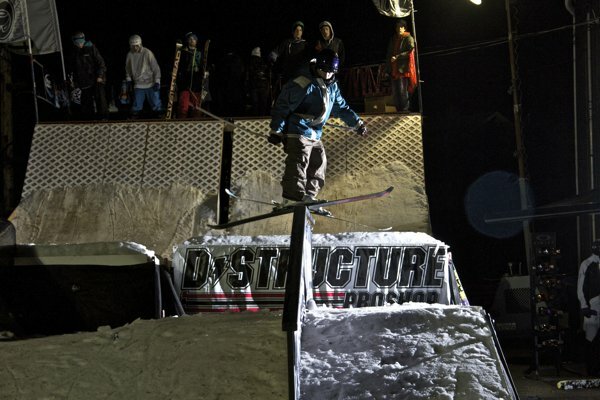 Jerome Valle landed himself second place for landing square on his skis every time he laid down a different banger. He got to take home some Coreupt skis, Oakley goggles and a ski bag. Gab Goudrault took the third, and was able to leave with a full outerwear kit from Eleven thanks to his magical switch 270 on&rsquo;s, which he was perfect all night long. And the $250 prize went to the gnarliest of bros present that day, Frank GP, who 270 gap transferred onto the down after crashing hard onto the pavement several times. And that&rsquo;s not all. Watch out guys, because our ladies here in Quebec are something special! The competition was surprisingly stiff in this division, as the girls here absolutely slay on rails and gave everyone a hell of a show battling for first place. In the end Corinne Pelletier managed to take the first place spot by showing more confidence than anyone that day. She got to leave with a pair of Coreupt skis for regularly dropping in switch on the difficult set up, along with a switch in, switch-up on the flat-down. Taking second place for the ladies and some fancy Oakley goggles was the steeziest girl you have ever seen, who had a taller tee than you and probably even cleaner style, Emelie Seguin. And last but not least, local girl Veronic Picard, scored herself a pair of goggles as well for some sick rail maneuvers and almost landing an epic switch-up pretzel 2 out. 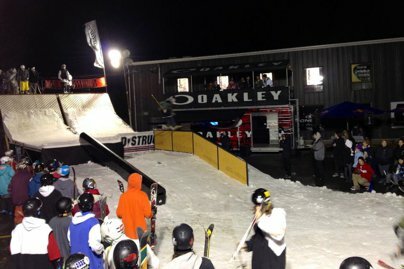 Big thanks to D-Structure for putting on this event as everyone here in Quebec waits for the mountains to open! TL:DR... Probably the best event in skiing right now.